This tutorial has been updated to target Dokku version 0.12.13. Create your own server (droplet) on the cloud using the DigitalOcean cloud architecture. (I will also share with you a link that will give you $10 credit at DigitalOcean). I’ve tested each step of this tutorial multiple times so you should not run into any issues. If you do however, please leave me a comment at the end of this post and we will sort it out together! Heroku has become the standard to host Ruby On Rails web applications. It is understandable because Heroku has such a great infrastructure. Deploying is a matter of typing “git push heroku master” and you’re pretty much done! The thing is, if you are part of a small development team or you are a freelancer, the cost of using Heroku for all your clients / projects might become a real issue for you. This is where Dokku comes in! But what is Dokku? So, there you have it. 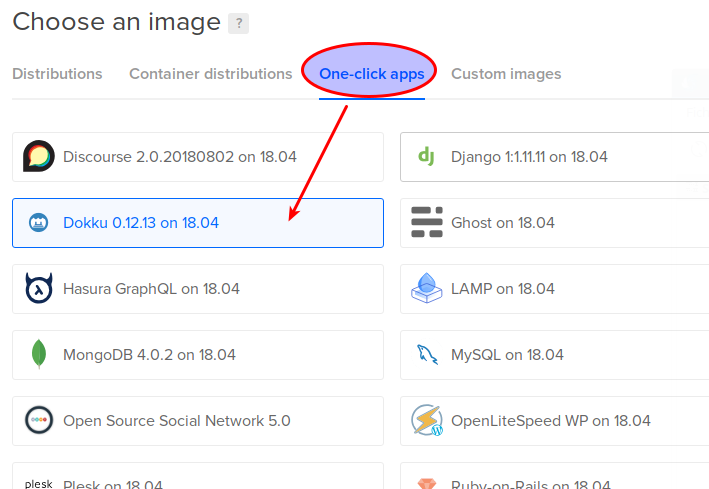 A “mini-heroku” that you can self-host or, better perhaps, use on an affordable cloud infrastructure such as DigitalOcean (use that previous link to get a $10 credit). Small teams and freelancers can now deploy like the pros at a fraction of the cost. Follow this tutorial and soon, you too, will be able to deploy your Rails apps simply by typing: git push dokku master. How neat is that? Sure you will have some configuring to do, but the overall process is not that complicated. This tutorial will show you how to get there. Are you ready for the tutorial…? 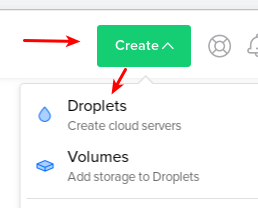 First, create the droplet on DigitalOcean. Choose your image! Don’t miss this step, it’s very important. Don’t choose a Rails preset or a Ubuntu image. Remember, we want Dokku! Add your ssh key(s) for a more secure access to your droplet. Finally, click on the “Create” button and wait until your droplet is fully created! Since we chose the cheapest option (1 GB), we might run into memory problems when we will deploy our Rails application. Rails assets compilation will make your deploy fail. Don’t worry though, your web application will still be running smoothly. What’s the solution if we are determined to use our cheap 1G droplet? Simple, we just add a swap file as explained in this StackOverflow answer. What follows is (almost) an exact copy of that answer. Great, now we have our swap file. What’s next? If you type the dokku command, the list of commands for dokku will be displayed on the screen. You should study it as it is very instructive, but for now we will simply use the dokku apps:create command to create our application. This will create a container for your new app. To interact with a postgres database on Dokku, you need to use a plugin. Update december 2018: I’ve now changed the postgres plugin I use since the old one does not appear to be in active development anymore. A new service called myapp has now been created. The next step is to link it to our application which happens to have the same name. Done! If you look at the output of this command, you will notice that an environment variable called DATABASE_URL has been configured. This will be your connection string to access your postgres database from your Rails app. Thanks to Ariff in the comments for asking questions about environment variables. The following section is a recap of what was discussed in the comments. Note that you don’t have to manually set the SECRET_KEY_BASE environment variable which is used in the secrets.yml file of your Rails application. This is because the ruby buildpack already does this for you. As you can see in the source code, SECRET_KEY_BASE is set to a randomly generated key (have a look at the setup_profiled and app_secret methods). Switch to your local workstation and create a new rails app. Off topic: Why not take this opportunity to use environment variables for all your secrets? If you did everything correctly, you should see something like this after you pushed to dokku. (I edited the output to keep it brief). Obviously if you type myapp.myapp in the browser, it will not work. What you have to now is to point a domain to your new droplet. If you don’t have any top level domain, the fastest way would be to add a subdomain record for one of a domain that you own. Then have it point to your droplet IP. Open a browser and type example.yourdomain.com. You should see an ugly “Hello World!”, congratulations! Checks in Dokku are a way to setup zero downtime deployments. You don’t want your users to get an error page while your server is restarting. Since we have not created any custom check, dokku run a default check that simply make sure that the new container is up and running before pointing to the new app. The problem is it will not check if puma has been fully loaded. Let’s create a super simple check to make sure our Rails application is available. Important: Leave an empty line at the end of this file, otherwise Dokku might not detect your check. Is this a bug? 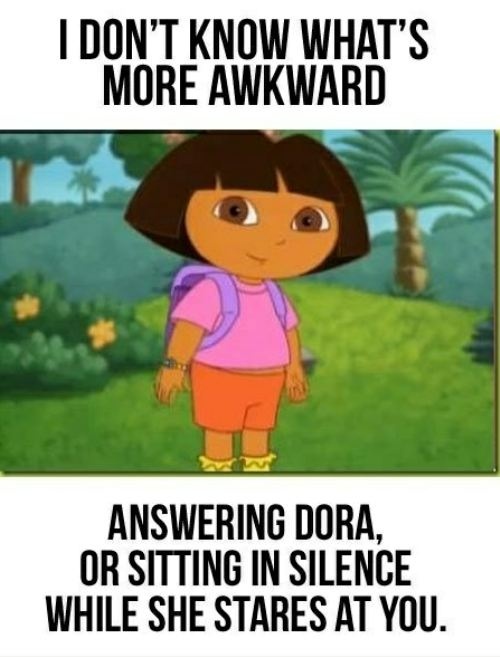 I don’t know… but it took me a while to figure this one out! In other words, dokku will try 6 times to obtain the “deploy_successful” string after calling “/check_deploy”. "postdeploy": "bundle exec rake db:migrate"
Let’s create a dummy model to see if the migrations will be run. How cool is that? I hoped you enjoyed this tutorial. Your comments are appreciated! Ready to use in production? Make sure to clear old and unused containers from time to time! If you are using an older version of Docker and the prune command above does not exist, there is another way to clear unused containers. Have a look at this SO answer. « Finally I found the solution. My previous solution got me working but ultimately that wasn’t the true solution. It is happening because of containers and because of 5 dollar plan. How about automating your database backups and storing them on a zero-knowledge cloud architecture? Great post, very clear. Any news about how to run migrations automatically after deploy? There ought to be a simple, hack-like way to inject `rake db:migrate` somewhere. Thanks for your comment Augusts. Unfortunately I didn’t have time to check this yet. Augusts Bautra: Since Dokku 0.5 you can run your database migrations on deploy. Have a look at the updated post! Hey Frank thank you so much for the post. Exactly what i was looking for. One question though, how do you manage your secrets? I get the error Rake aborted! Devise.secret_keys not set. I have my secrets hardcoded in secret.yml and not commited to git. Is there a way to load the file using dokku? Something like rake heroku:secrets RAILS_ENV=production ? I saw your other post recommending using environment variables. Would that mean i commit the secrets file to git ? Hello Ariff, I’m glad my tutorial helped you! The “12factor way” (which is embraced by Dokku/Heroku), encourages you to set your secrets in environment variables. The recommended way, then, is to commit secrets.yml to your repo and use an environment vaiable instead of an hardcoded value for secret_key_base. Ok cool. I guess i should commit my database.yml too. Thank you so much dude! Will try it out in a while. That’s great, let me know how it went! Thanks Ariff, I think I will update the post and add a section about setting environment variables in dokku. Hi Frank. I have a question kinda newbie, when you deploy for the first, second, n times is the application build again from cero? all the gems are installed again and the gemfile.lock is a new one or is overwrite?. I think I’m having problems with my gemfile.lock when I try to deploy. Hi Jose. The gems are fetched and installed from the external source (i.e. rubygems.org) only if they are not already installed on the target machine. The gemfile.lock file is only updated if new gems are installed when the “bundle install” command is executed. If the gems are already there, there will be no “reinstall” and gemfile.lock will not be updated. What is the problem you have with gemfile.lock exactly? I may be able to help you out. Do you have an error message? Hey Frank, great post, thanks. No experience, but I’d guess it’s a matter of dumping the DB on heroku and restoring it on dokku using a plugin (e.g. dokku psql:restore myapp dumpfile_location). Thanks for the comment! I am having little problem with it. Sometimes I am able to deploy successfully, sometimes not. I am about to launch my application but this error is giving me nightmares. I tried solutions you suggested in some comment and reverting back Puma worked. But I cannot do this all the time. Is there any workaround ? any alternative other than Webrick ? Just guessing here, are you using the latest Puma version (3.4.0)? What is the complete error message at delploy? The pre-receive hook declined message is coming from GiT and it is displayed whenever the deploy fail. Try doing ssh [email protected] logs yourapp and see if you can find a more detailed error message. Very strange. I never got this error, not even once. If you manage to fix the problem, let me know and I’ll make sure to update the post. That will help others who might stumble onto the same issue. Good luck! Finally I found the solution. My previous solution got me working but ultimately that wasn’t the true solution. Hope it helps someone and sorry for the late response. Hi Dushyant, sorry for the late response too! I’ve updated the post to add your solution (Section Troubleshooting). Thank you for the great tutorial and links to others! I’m glad you liked it, thanks for the comment! Great tutorial! I’ve successfully deployed two rails apps with ease. Now, I want to take a step further, I have multiple rails apps that I want to push into one droplet (same dokku). Is it possible to do so? If yes, can you show me how? Much appreciated! Hi Arief, I’m glad you liked the tutorial! Sure, you can push multiple apps on the same droplet. Simply create your new app the same way we did in the tutorial. (eg. dokku apps:create myapp2). Thank you for the reply, Frank! I’m having issue pointing the domain to each of the app. For instance, I have domain1.com pointed to the myapp1 and domain2.com pointed to the myapp2. However, whenever I go to domain2.com it leads to the myapp1. Any solutions? Thank you in advanced! Nice catch, thanks! I’ve updated the post. Hello man! I’m trying but I’m doing something wrong. Weird indeed. It might sounds obvious, but are you sure that you have created your Dokku application on your remote droplet and not on your local workstation? Hi Francois this was a great post. But I have an issue with Dokku 0.7.2 on Ubuntu 16.04 for a Rails 5.0.1 app. The deploy seems to run smoothly but when I visit my app @ http://104.131.98.157:60141/, it says the request took too long and cant access the site. Excelent post !, i have some questions, can i use dotenv-rails on dokku? and is very important have db:migrate after each deploy? you can do it manually and is the same right? Hi any help on adding sidekiq and redis? Hey Frank! I always seem to end up here when i’ve got rails/dokku issues. I followed this tutorial the last time when it was still 0.5.x. And now I’m trying to upgrade dokku to either 0.6.x or 0.7.x. I see that you’ve done that too. Before doing so I’d like to dump my database incase something goes wrong. For some reason, I just can’t seem to do it. Been running..
don’t seem to be doing anything as root user and I get permission denied when running as dokku user. Do you reckon I could just do the upgrade without doing a db backup? Any ideas or help on this would be greatly appreciated.